Ask any beekeeper and they will tell you that bee colony losses have increased significantly over the past few years. Pesticides, changes in landscape, warmer climate and parasites are the culprit. We need bees for a number of reasons, including pollination of food crops. It is important to learn more about bees to be able to see just how they affect our environment and are overall, just unique working creatures in our world. If you love chocolate or coffee, then you have bees to thank! Bees work to pollinate domestic crops and are easily used by farmers to help pollinate the areas where coffee and chocolate are grown. Other areas of farming also benefit from bee pollination, including berries and nuts. Bees are such good pollinators that there are hive rentals that farmers will use to ensure pollination within their crops! Speaking of pollination, bees are crazy busy in the state of California. Almonds are grown in the state, with as much as 80% of the world’s almonds produced there. The almond industry of California uses over 1 million hives a year from areas across the US to ensure pollination takes place. Honey bees are the only insect that humans use for food. Think about that for a second. There is no other insect in the world that is used to make something that we consume. Honey is a unique product that only bees create, that has many tasty uses! When you look at a bee, it may appear that they have two eyes like us. However, bees actually have five eyes. Between the two large eyes are three little eyes. These smaller eyes help the bee to be able to consider the intensity of light. When one finds a colony of bees, it may seem like a lot call the hive home. In actually, its more than a lot! As many as 50,000 to 80,000 bees will live in a colony. This is a massive amount of bees and just goes to show how a colony can help with the pollination process of crops because there are so many living in one spot. The sting of a bee may hurt, but it does have its benefits. A bee sting has been proven to relieve pain for patients who suffer from rheumatoid arthritis. 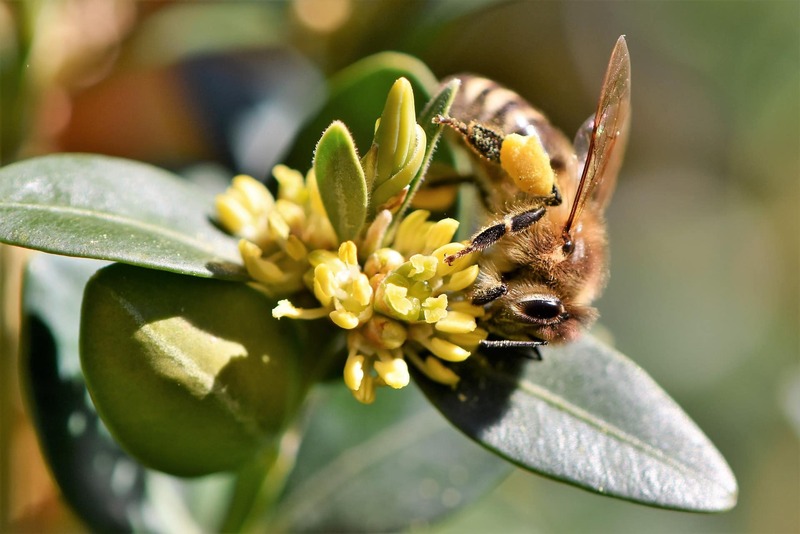 University of Sao Paulo researchers found that the venom of bees can increase glucocorticoid in the body which is an anti-inflammatory hormone. In the chilly months, bees can live up to nine months. However, in the summer, bees will live around six weeks. Bees literally work until they die, which is why they are known as worker bees! Are Bees Really in Danger of Dying Out? What To Do If You Find a Hive on Your Property?